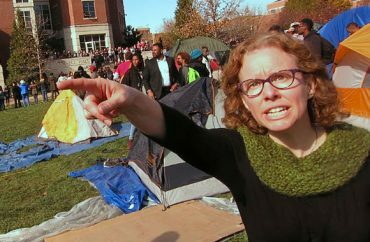 The University of Missouri’s flagship campus has a lot less money to play around with, more than two years after crippling protests suggested that Mizzou was run by racial-grievance activists. How is it spending its money now? PR and lazy rivers, apparently. The Chronicle of Higher Education reports on the myriad ways the university has cut back and consolidated its spending, following a $30 million revenue hole from freshmen enrollment that has plunged by 35 percent in two years. Some of the savings came from layoffs, about 350 total on the Columbia campus. A handful of senior administrative positions were eliminated or combined. The campus also stopped subsidizing administrators’ cellphones, got rid of a fleet of Mizzou cars, and reduced its mileage-reimbursement rate for university travel. It’s also advertising “free tuition” by paying for what Pell Grants or scholarships don’t cover, urging faculty to use “more open educational resources in their courses” so students don’t have to shell out for textbooks, and – not for the sake of the poor – giving new scholarships to legacies. On one campus tour in early April, the protests didn’t come up. A small group of prospective students and parents, bundled up against the biting cold, was mostly content to follow along and listen as Sophia Cygnarowicz, their tour guide, chatted about Mizzou and showed them the library, the residence halls, and the luxurious recreation center — complete with a spa and a lazy river.